A family business headquartered in North Wales is accelerating its expansion plans. Wrexham-based Pan Stone Europe is on track to achieve turnover in excess of £3million this year, compared to £2.2million in 2017. The company distributes cutting-edge injection and compression moulding machines for the processing of rubber, silicone and liquid silicone materials across a range of sectors including oil and gas, aerospace, automotive and pharmaceuticals. It has set its sights on breaking the £6million revenue mark by 2021 and has been selected for support by Business Wales’ Accelerated Growth Programme (AGP). Pan Stone was set up six years ago by Managing Director Stephen Murphy. His son, Joshua, is one of the firm’s service technicians, and daughter, Hannah, is a business administrator. Phill Harry, who has more than 30 years’ experience in the electronics and electrical industry, has come on board as Operations Director to help Stephen drive the growth plan. Over 70 per cent of the company’s turnover is through export sales in Ireland and Europe. Pan Stone Europe is a sales agent for Pan Stone Hydraulic Industries, a global market leading specialist in Compression/Injection Moulding machines and high tech solutions. 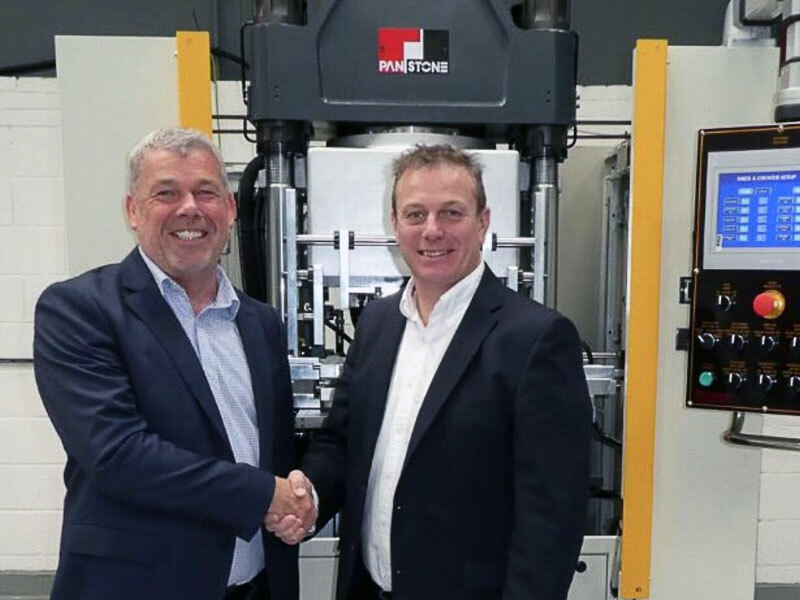 “We have customers in many countries across Europe and regularly take prospective clients to see our machines on site at customers’ plants and at our showrooms in Wrexham and Slovakia as well as reference sites at customers in the UK and Europe.